Skyland Farm offers the finest care for your equine athlete, with options available to meet a variety of boarding and training needs. Includes feeding, mucking, turn-out as well as grooming six days per week. 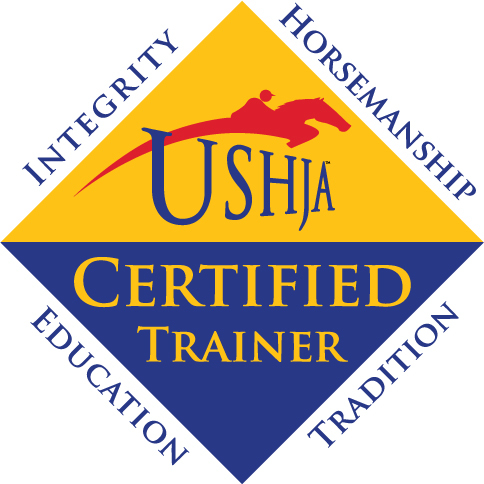 Riding/Training approximately four days per week by trainer Denice Perry or the most qualified person available if horse shows or weather conditions made it necessary for another rider to exercise the horse. Includes feeding, mucking and turn-out. Supplies: All boarders must share general supplies and will be billed monthly. Included but not limited to: hoof dressing, soap, fly spray, show sheen, laundry detergent, etc. Supplements, such as H.T. 20 (hoof supplement) and electrolytes, as needed, will also be included in the supplies bill. Billing: Billing takes place at the end of the month, and includes an additional month’s board in advance. In the event that a horse leaves the farm, the client will be reimbursed the extra board paid in advance. Bills are due by the 15th of the month. Sales/Commissions: Commission for buying, selling or leasing a horse is 15 percent of the purchase, sales or lease fee of that animal. Commissions are due and payable at the time of transition. 30-Day Notice: Is greatly appreciated with vacating a stall. Note: All board fees include scheduling and holding for the blacksmith and scheduling the veterinarian for routine work. Boarders are responsible for paying all blacksmith and vet bills promptly.